This Viking-themed book from Black Jack Press is yet another crowd-funded anthology, but it’s an assured and consistent collection that never loses its focus and doesn’t deliver a single dud throughout. 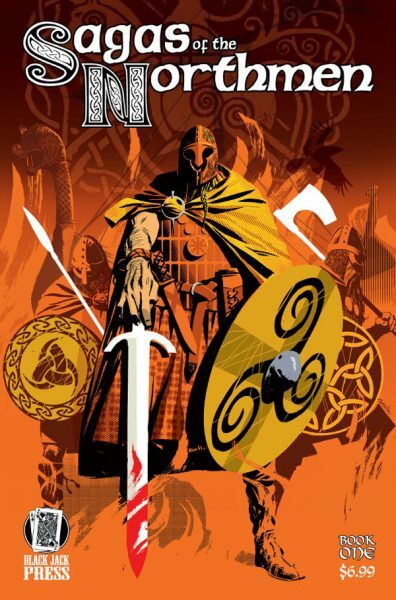 Unlike similar historical fiction fare, Sagas of the Northmen also refuses to let the supernatural elements seep into its tales, and thus felt unlike anything else I’ve read. Though I must admit that I’ve not yet read Brian Woods’ Northlanders, to which I’m lead to believe this bears comparisons. Some great contributors here too, including writers Mark Wheaton (the Luis Chavez novels), Derek Fridolfs (Batman: Li’l Gotham), Tom Pinchuk (Hybrid Basterds!) 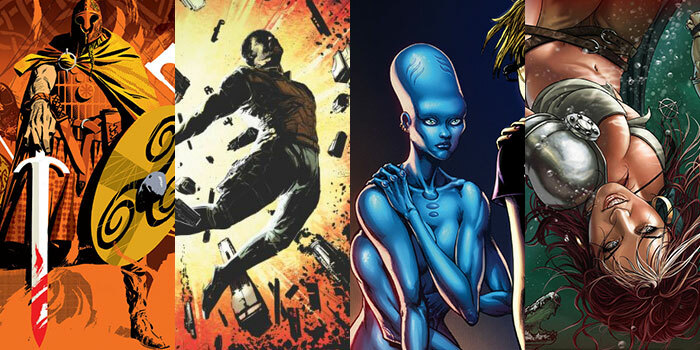 and Sean Fahey (Tall Tales From the Badlands), and such gifted artists as Matt Smith (Barbarian Lord), Mario Guevara (Ultimate Fantastic Four), Jok (Dungeons and Burglars) and Ezequiel Rosingana (To End All Wars). Sagas of the Northmen is available digitally from DriveThru Comics. 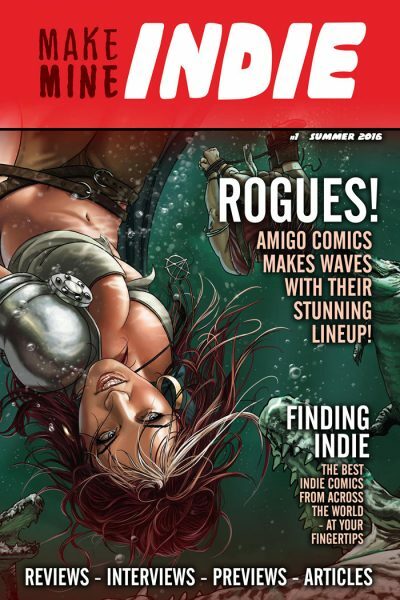 The Salvager team’s efforts have been impossible to overlook these past few years, with their space opera series garnering praise from readers and other comic creators, as well as a ton of established artist providing covers, promotional images and fan art. 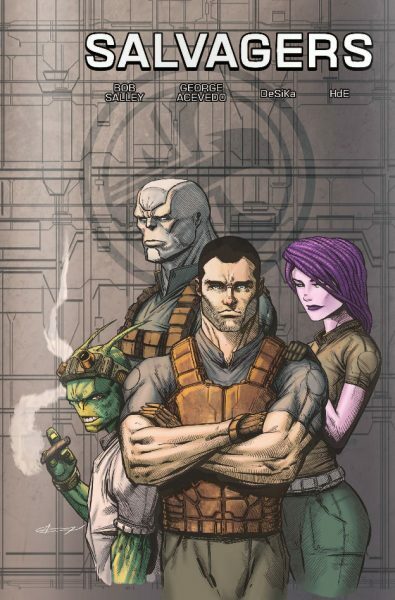 It’s easy to see why the series is proving so popular – Salvagers is a throwback to the sci-fi comics of a bygone age, but one which wears its modern influences on its sleeve. Bob Salley and George Acevedo roll the best elements of anime, Star Wars, Firefly, Guardians of the Galaxy and video games into a rollicking ride that doesn’t give you a moment to catch your breath. Raw but oh-so much fun. The first miniseries is now available in trade, so check it out here and then jump onboard the follow-up series, Salvagers: The Wreck Raiders, at time of writing on its first issue. 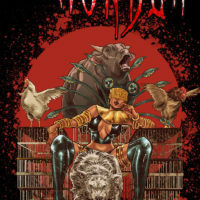 The long-gestated brainchild of Sequart founder Julian Darius, Martian Comics, is a unique anthology series set within an alternate-history universe. Incorporating the mythology of the red planet into our own, Darius divulges the alien’s part in everything from the development of Homo sapiens and the Jesus fable to the Cold War and modern media. 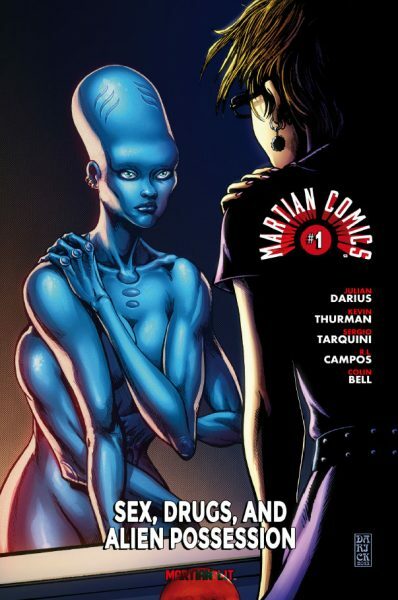 Martian Comics‘ somewhat daft looking blue and green aliens resemble something conceived in the 50s or 60s, but Darius writes with the seriousness and intentions of that era’s finest “what if” science fiction stories. Illustrated with gusto by Sergio Tarquini and R. L. Campos amongst many others, it’s a combination that I found irresistible. 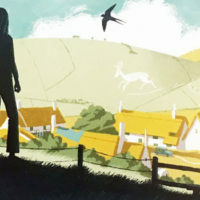 The brilliant first tale, which I won’t describe for fear of ruining its wicked ending, delivers on its setup with a twist that Ray Bradbury would have been proud of. Martian Comics is currently on issue #4 (of an 8-part series) and available digitally via comiXology, with #5 releasing soon. I write this with the guilty conscience of a blogger who knows damn well that they should mentioned this book before and mentioned it often. 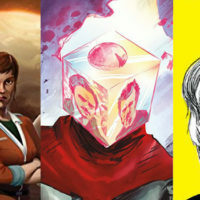 make mine INDIE is a brilliant concept from Alterna Comics, one that’s essentially a free catalogue showcasing the work of the latest indie comics creators, alongside some decent articles. Anyone can submit their work, and the magazine has a very reasonably priced advertising model. 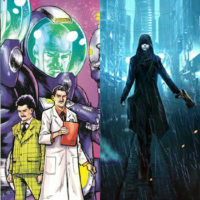 Possibly the most common excuse for not trying more indie comics is that you often have to wade through the proverbial pile to find a few gems. 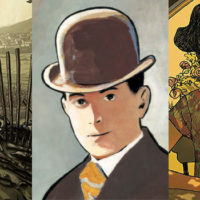 make mine INDIE offers a fantastic conduit through which inquisitive readers can discover new talent at zero risk, and I love it. 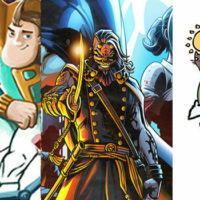 Again, make mine INDIE is free, so hop over to www.alternacomics.com to give the project and its talents a show of support.